A Rare Gem At The Wyoming in Kalorama — Stolen By Life At The Top Clients! The Wyoming in sought-after Kalorama is frequently referred to as a Washington “Best Address.” The Wyoming is also one of our selections for “Most Grande” on The It Buildings list of Life At The Top. It is a grand and gracious Beaux Arts condominium that was built more than a century ago. It boasts one of the most spectacular marble lobbies in Washington and is noted in the National Register of Historic Places. When Unit #401 came on the market in January, it was listed originally for $1,650,000. Frankly the property was under-prepared for the market and just didn’t look that good so many buyers passed it by. It wasn’t a bad value, but after less than 60 days on market the price dropped by $150,000 (almost 10% in one shot)! My buyers jumped at the opportunity and survived what became a multiple offer situation because of our all-cash offer. Bottom line is that my clients got the advantage of a great buy and didn’t have to spend more than list! Now they have over 3000 square feet to work with in one of DC’s Best Addresses. While all of the apartments at The Wyoming are spacious, #401 is especially so – it is two units merged artfully into a grand space measuring 3,000 sq. ft., with 5 bedrooms, (currently configured as 3 bedrooms, den and office) and 3 full baths. The space seems even larger thanks to 10-ft. ceilings crown mouldings, inlaid wood floors and other exquisite details. The new owners plan is to significantly renovate the property and to move in when they come back to the country to live next year. Owners at The Wyoming enjoy a 24-hour front desk, a lovely grassy garden with child’s play area, and a panoramic roof deck with sweeping views. Between 1897 and 1931, Kalorama was developed into a neighborhood with the vibe of New York’s Upper West Side — full of beautiful views and old-world appeal. Home to several embassies, in addition to the Woodrow Wilson House, Kalorama is a spectacular neighborhood full of historical charm. Next door, vibrant Dupont Circle and Georgetown tempt residents with a multitude of restaurants and shops. Kalorama offers a quiet lifestyle just blocks from the pulse of the city. Rock Creek Park runs along the northern edge of Kalorama and offers excellent walking paths, horse trails and dog parks. 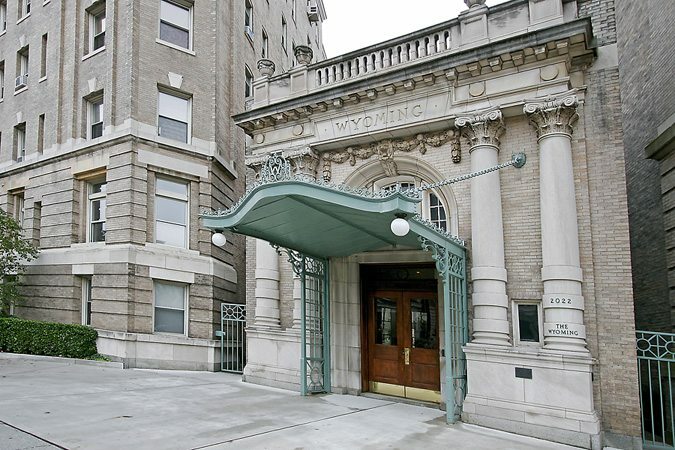 The Wyoming is located on Columbia Road, NW just off Connecticut Avenue and convenient to the Dupont Circle Metro station on the Red Line. Abundant taxicabs are available at the door. 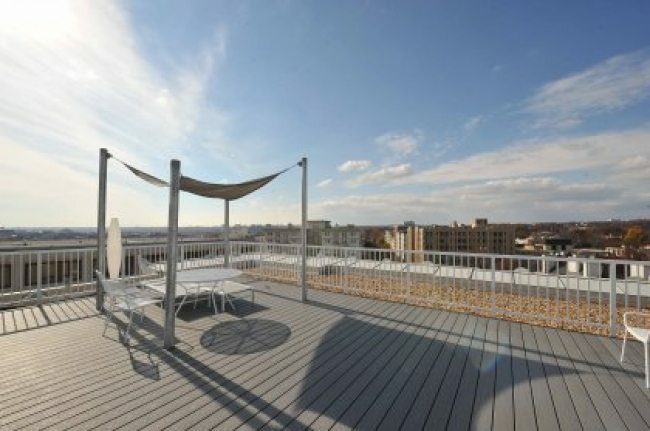 Residents walk to a multitude of restaurants and shops in Kalorama, neighboring Dupont Circle and Adams Morgan as well as Georgetown while enjoying close proximity to the White House, Reagan National Airport and the Kennedy Center. To visit The Wyoming; or for a tour of the Kalorama neighborhood or a particular luxury condo building, contact me, Jeff Wilson, at your convenience.